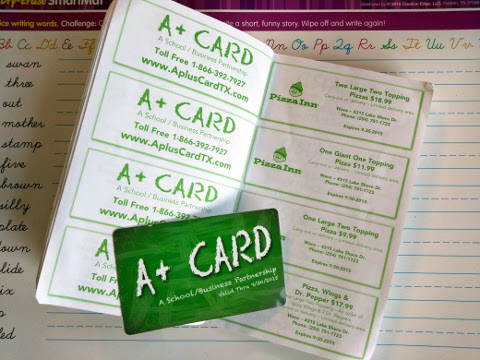 Every year in September in Hewitt kids start to show up at your door selling the A+ Card and Coupon fundraiser book. This is one promotion I actually LOOK FORWARD TO. The card and coupons always pay off for me. But, this year, I I still have a lot of the coupons left over, so I thought I'd give them away here on the blog. They don't expire until the end of September. I'm giving away some coupons from last year's A+ Book listed below. And a few extras if I don't use them this week. I may throw in some other coupons too from other sources too. Enter below. Texas residents only!